Oh happy day! 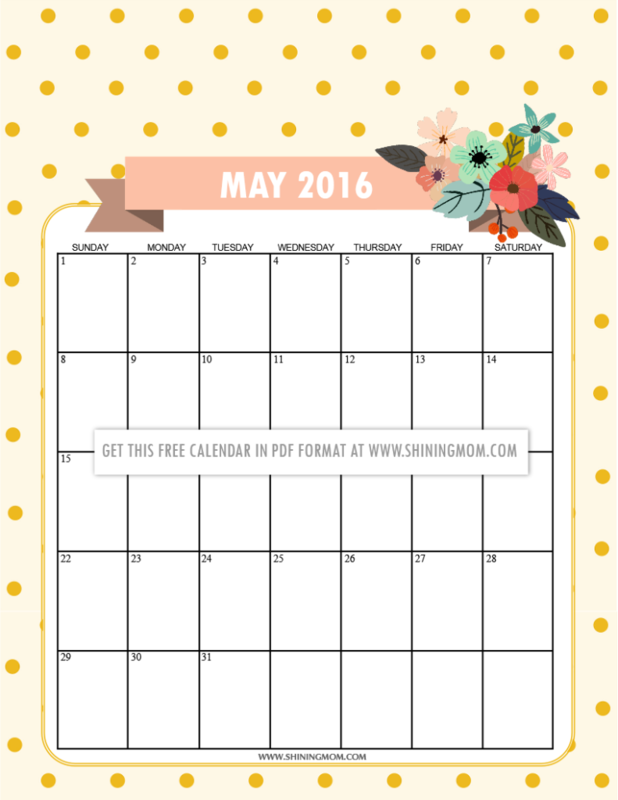 I’m so excited to show you your free printable calendars for May 2016. We have a dozen of fresh designs for you to choose from! 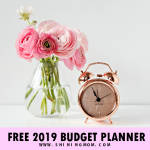 Thinking of finally making a step on a dream you’ve been dreaming to achieve? 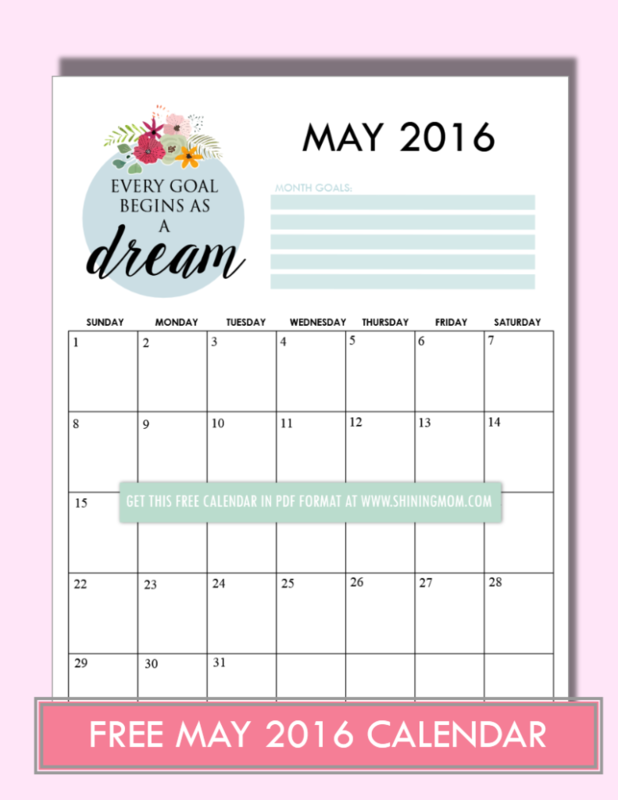 Convert your dreams to goals this month! 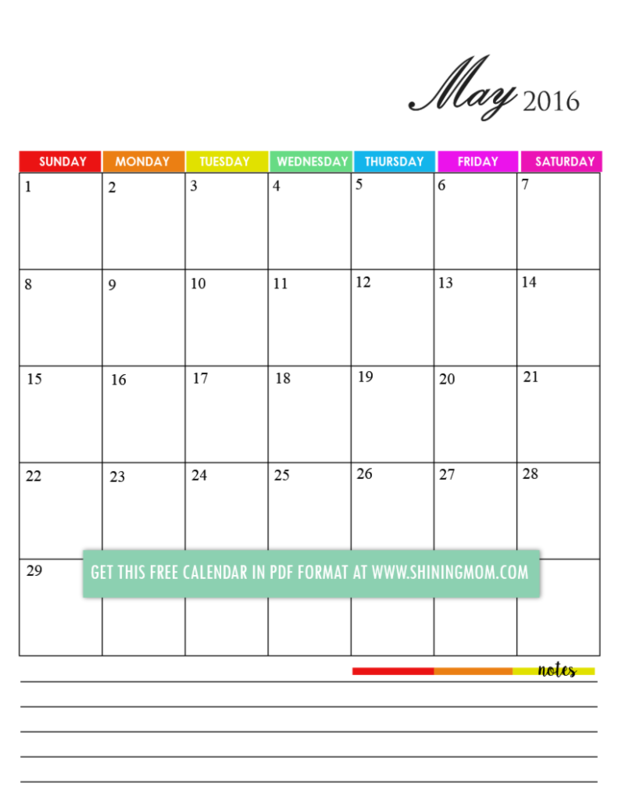 This free May 2016 calendar will inspire you to finally do that! Remember this background pattern? 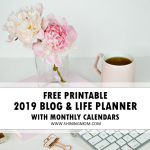 That cheery stripes design is first seen on the blog as the design element of your previous monthly planner (which can also be used year-round because it’s not dated). Since I like it so much, here it is again! 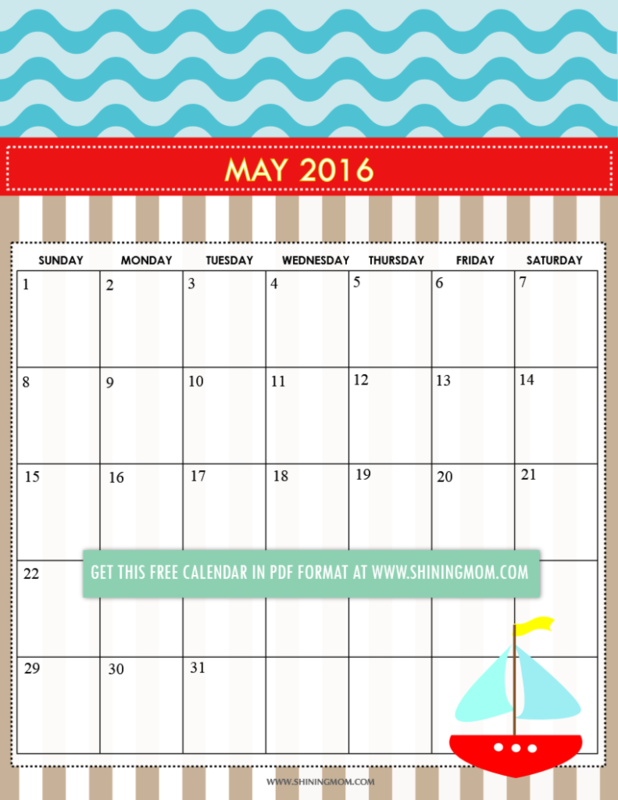 I think this will be great to use as your daily activity planer for your kids (calling all home schooling mommas!) 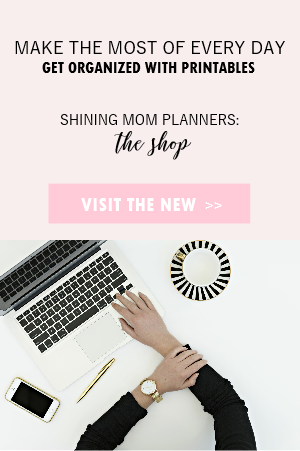 or as a fun addition to your planner! 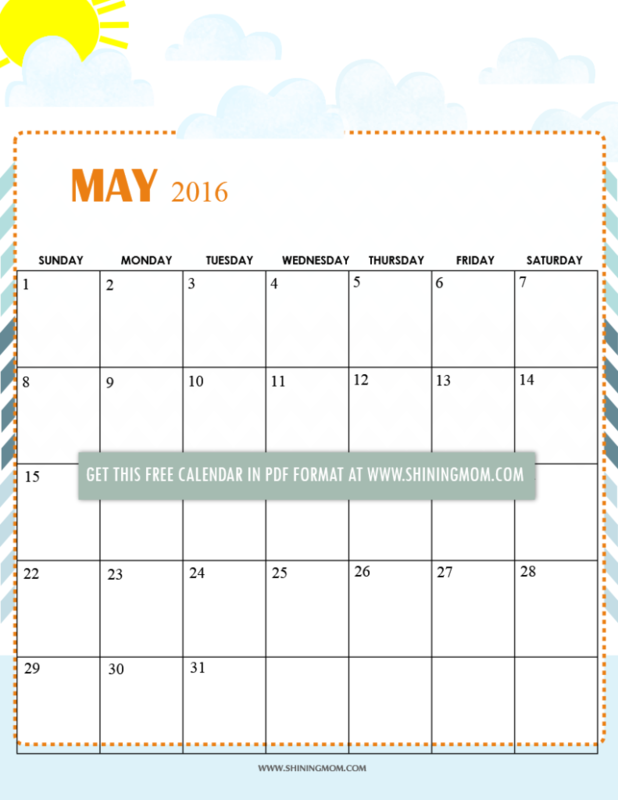 Free Printable May 2016 Calendar: Oh-So-Lovely! 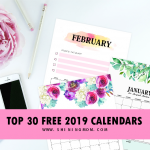 If you’re looking for a calendar that will set your mood in bliss, you’ll never go wrong printing this off! Adorned with swaying leaves and sweet flowers, this new design is a must-print for from this collection. 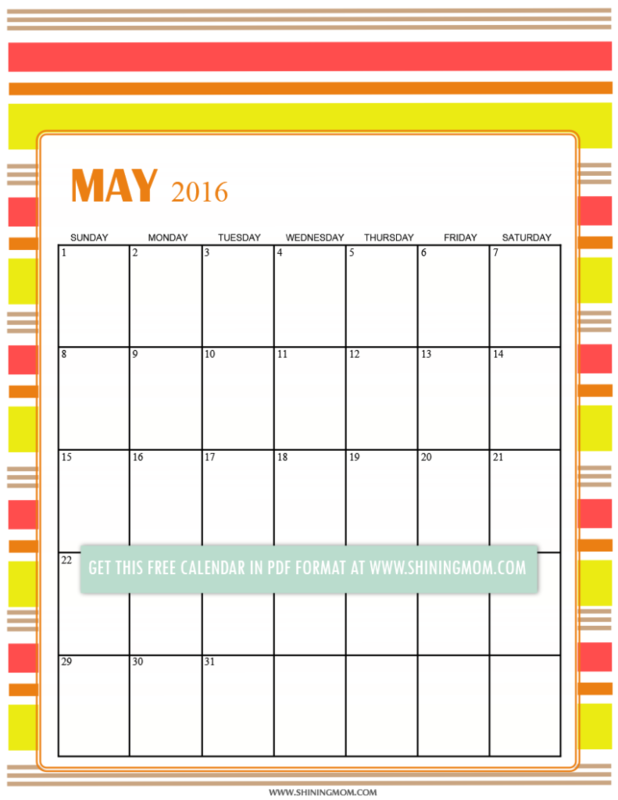 Use this free May 2016 calendar in your work stations, print this for your kitchen counter top or insert this in your home binder and it will surely make a pretty addition! 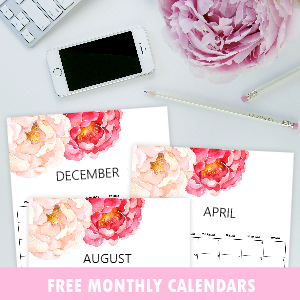 The possibilities are endless on how this oh-so-lovely calendar can be used! 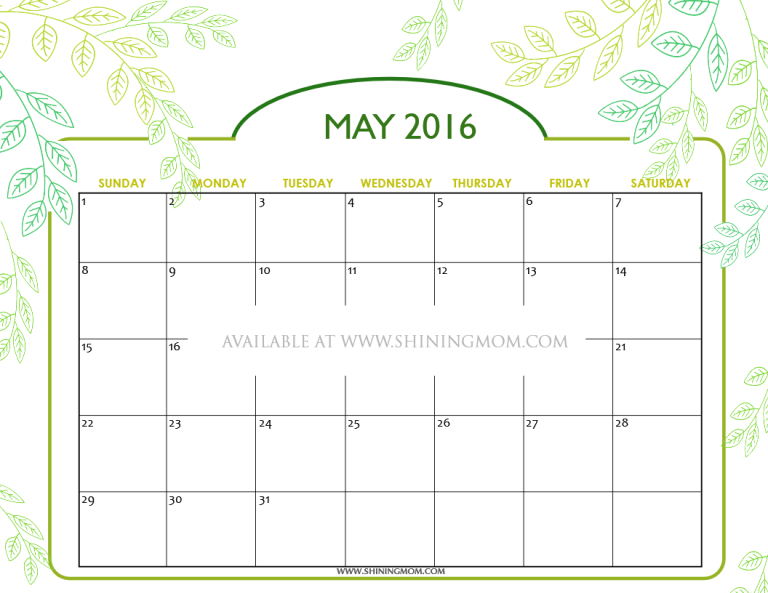 Yup, it’s here again, sweet friends… the calendar that several of you have requested to be released year-round! 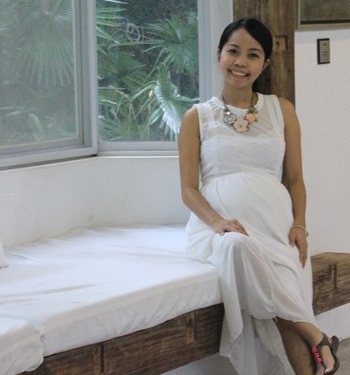 Bring in nature to your home or office to get the refreshed vibe! 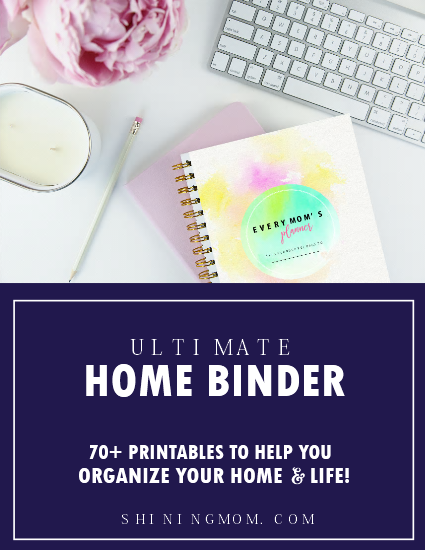 If you haven’t downloaded this previously, I encourage you to view the PDF version, you’ll surely fall in love with the details! 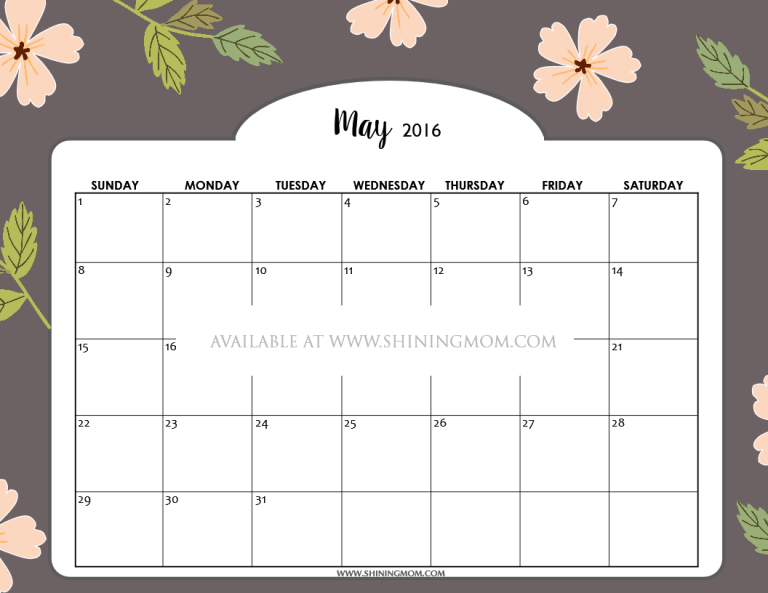 Of course I did not miss to include a printable calendar for the boys! 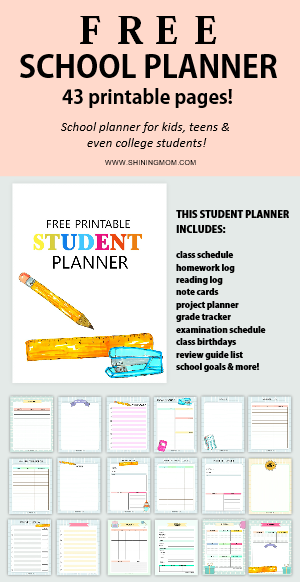 Print this off for their daily planning! 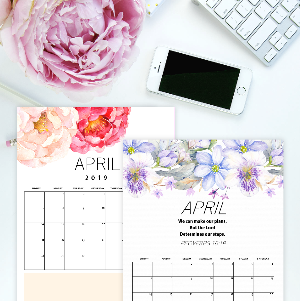 Looking for a calendar with a little space for your personal notes? You could like our next design! 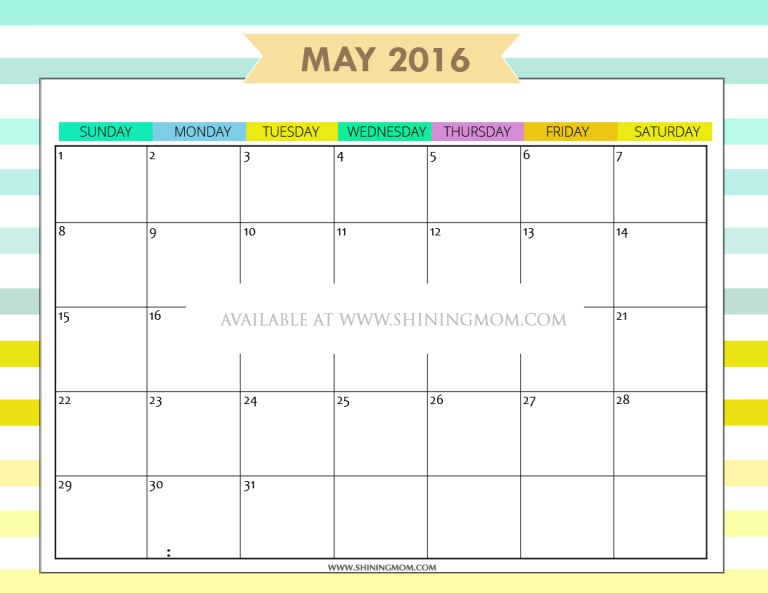 It comes in plain white background but with pretty pops of colors to highlight each day of the week! 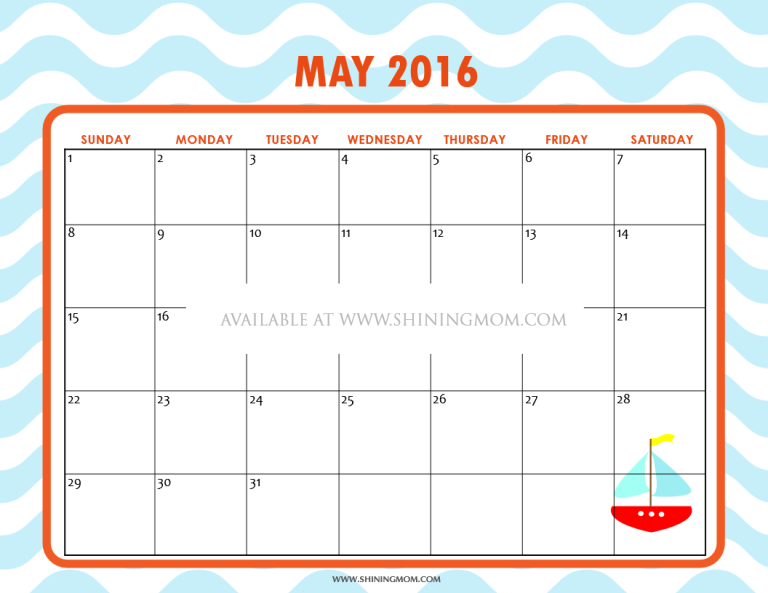 A nautical themed May 2016 calendar that is truly cute and colorful is definitely another great calendar planner to use for the month. 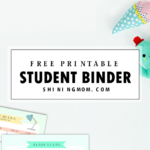 Print this off for your kids or for yourself! Here’s another cute calendar design that you might like to print off! It’s cheery and I think pretty! 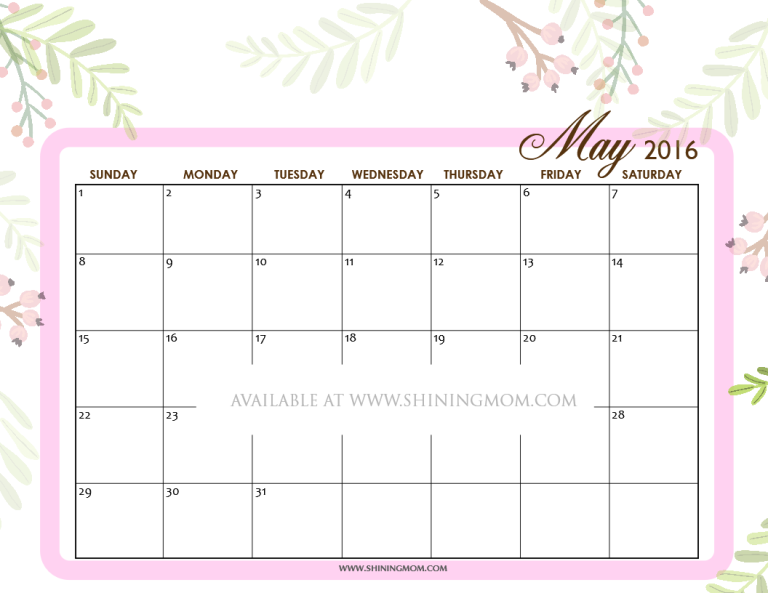 The second to the last calendar planner in the set is something that will really motivate you to be more productive this May. 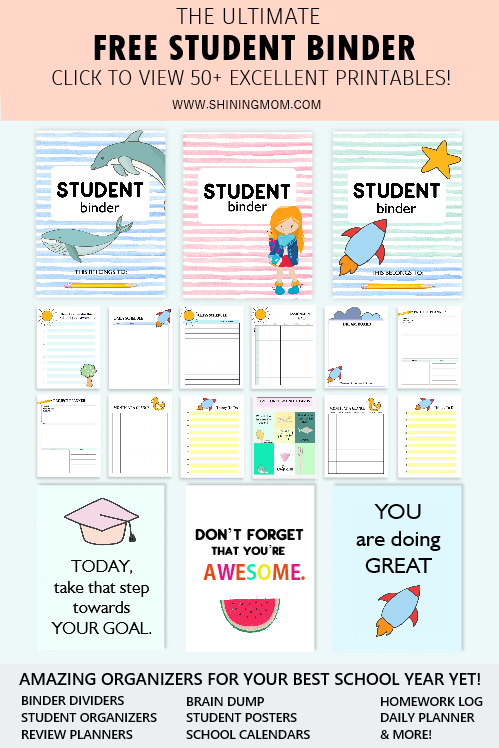 Output driven, this pretty page lets you set your major goals for the month plus it has a space where you could scribble your major to dos. 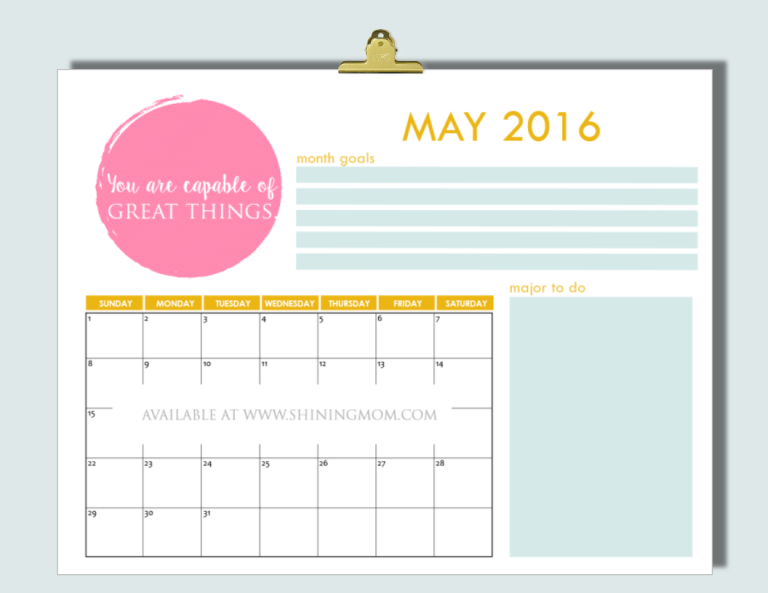 There’s also a sweet reminder that says “You are capable of great things” to cheer you month-long! Have a great day, sweet friends! 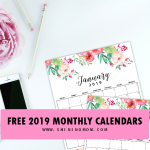 I pray that these calendars will bless you in any way! May you have a blissful May! 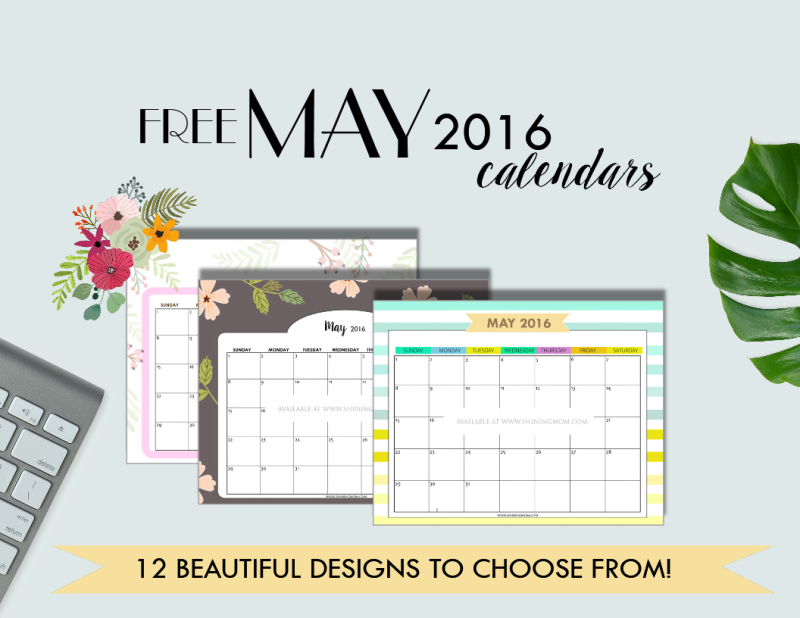 Update: I’ve just released your pretty calendars for June. Do you want to get them now?